This porcelain ornament is a limited edition by Pandora. The snowflake measures about 4 x 4 1/2 inches. Marked on the back as shown. Original light blue Pandora ribbon is still affixed. 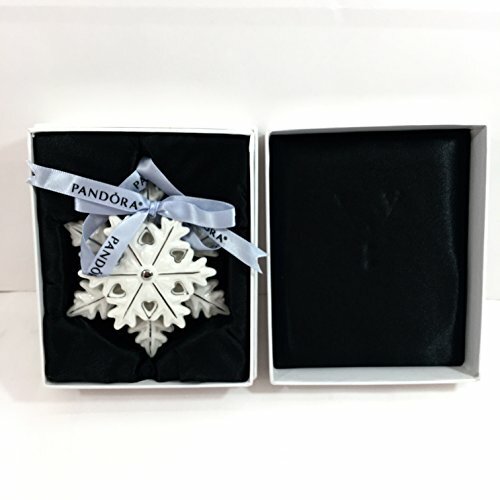 If you have any questions about this product by SNOWFLAKE ORNAMENT, contact us by completing and submitting the form below. If you are looking for a specif part number, please include it with your message.